We wish we had more photos to share of this amazing wedding! It was one of a kind : in a warehouse that had never held and never will hold another wedding! Working with Jaime was such a blast. We are so happy that we got to help her dream wedding come to life! Thanks April and Paul Photography for the photos! I wanted a church feel to our wedding even though we chose to get married in a warehouse. We had a very rustic themed wedding and I wanted something different besides just the usual white chairs. My great aunt told me just yesterday that no matter how much I paid for the pews, it was soooo worth it. She started crying talking about how beautiful they were. She said while she was sitting waiting for the ceremony to start, she was just thinking about where all the different pews had come from and who used to sit in them at the different churches they came from. She absolutely loved the idea that they were all different and probably had several stories to each one. 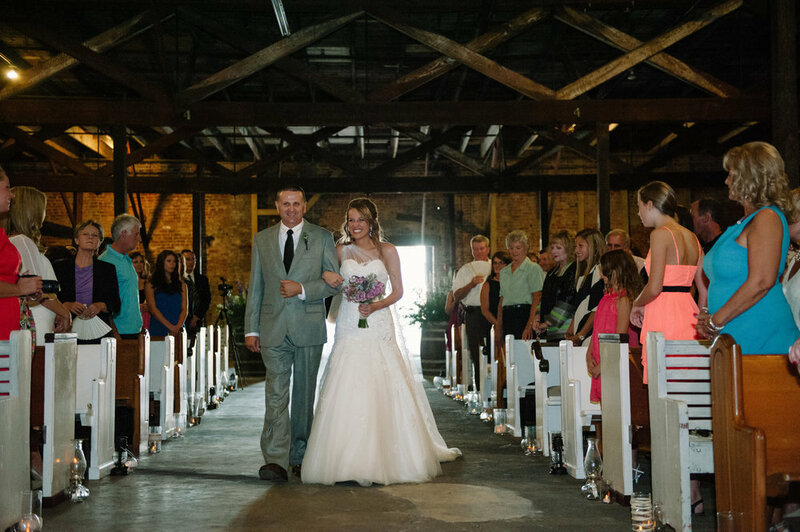 Like I said, we got married in a WAREHOUSE... like a legitimate, old, rusty, nasty, storage building, warehouse! hahaha!! Russell and I both were raised in our churches and were very active but we didn't want to choose between both of our churches as the venue. We wanted something extremely unique and rustic! We found the perfect place, the warehouse... although it was a lot of work to get it together! 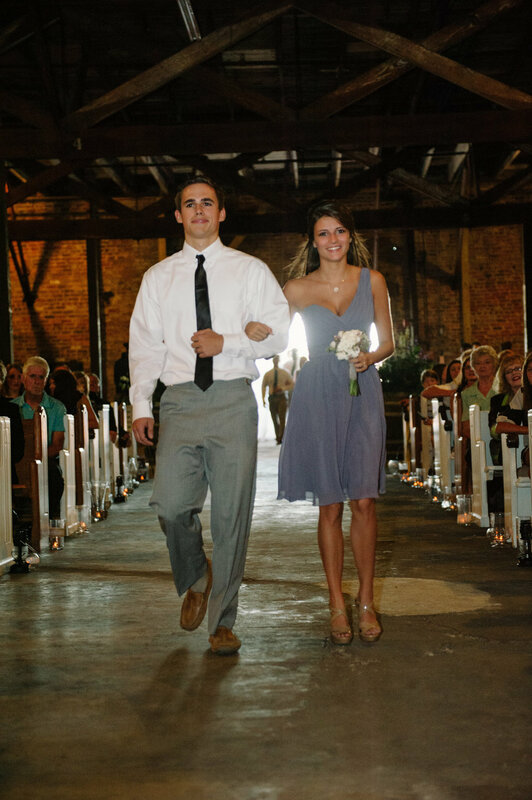 :) Since the venue wasn't one of our churches, I still wanted the "feel" of a religious and reverent ceremony. The pews definitely gave that to us! I couldn't have dreamed of it turning out any better! I would definitely recommend using these pews. I've only heard positive things about them from people who attended our wedding. They were comfortable, beautiful, and added so much elegance to an extremely rustic venue. They were perfect. We also didn't have to worry about going to pick anything up and setting any chairs up ourselves the day of or the day before. That took a lot of stress off of us... not having to worry about pick up and delivery.